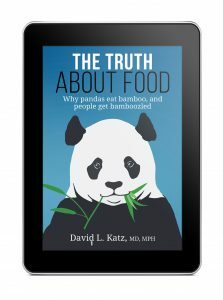 Utilizing a lifetime of research and the consensus of numerous experts worldwide, Dr. Katz has written his newest book to offer readers a way to “add years to your life and life to your years” and to “love the food that loves you back” over the course of your lifetime. The Truth about Food reveals the facts behind diet “fads,” exposes false claims and sets the record straight about exploitative “lies” that we all face daily surrounding the foods we eat. All proceeds go to The True Health Initiative, a federally-authorized 501(c)(3) non-profit organization.